Madill Golf - Page 19 of 77 - Two Sisters. One Sport. One Passion. 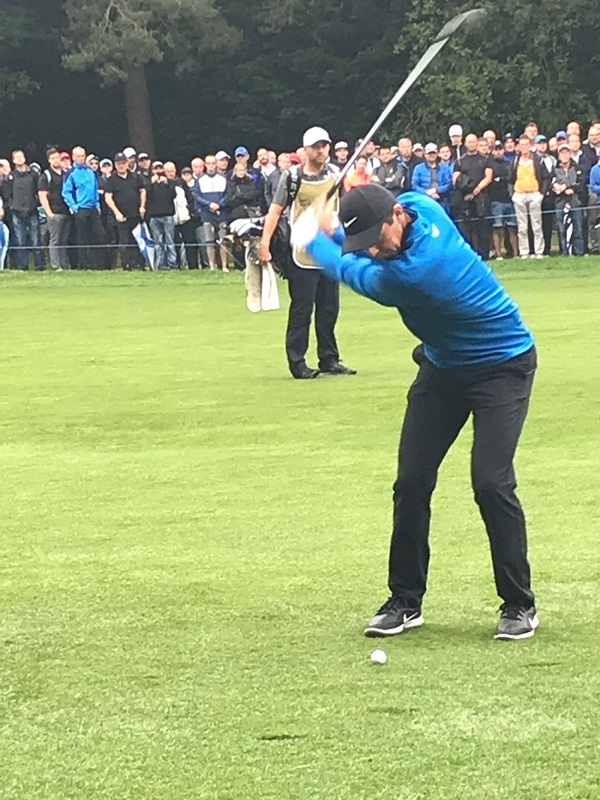 Normally the week leading up to the Open Championship is a very enjoyable one for me – golf watching usually comes high on the list, all in the name of research. This week it’s been a little different. Hours in an overcrowded, hot, fracture clinic full of short-tempered people, followed by the news that my nearest and dearest’s elbow surgery is not to take place for another three days. And then, agonisingly, news that the op won’t be happening today after all because it’s all hands to a more complex case. Ah well, at least I’ve had ample time to write this week’s blog in waiting rooms, sorry, waiting corridors, in between appointments of one sort and the other. 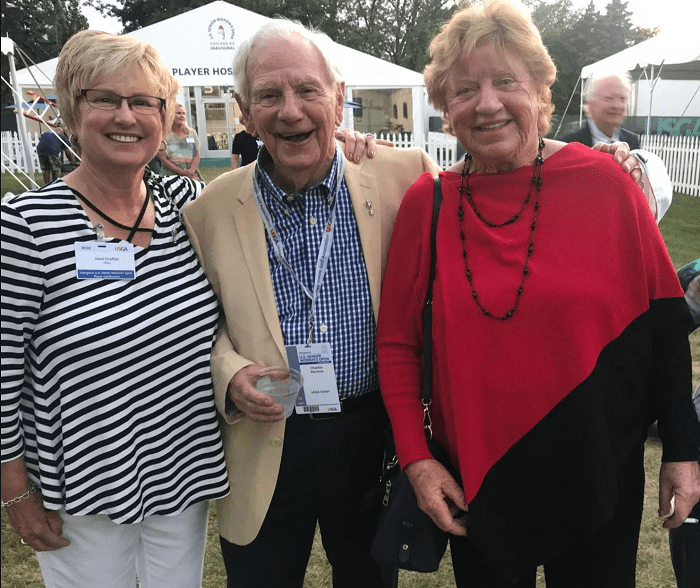 My first visit to Carnoustie was in the spring of 1999 when I went to play the course with Lawrence Farmer, redoubtable coach and mentor and my late brother-in-law, Dai Davies, golf correspondent of The Guardian. Ah, those were the days when there were newspapers and they actually had correspondents! It was one of the few courses on the Open rota that I hadn’t played and as I was going to be part of Radio Five Live’s Open coverage that July I wanted to see for myself why it was hailed as the most difficult test of all. We teed it up on a pet of a day and the three of us set off. Dai found the greenside bunker on the right at the 1st, a devilish pot bunker from which he found it difficult to extricate himself never mind the ball. When he did emerge from the bunker, he discovered to his horror – and our amusement – that he had split his trousers from stem to stern and a speedy return to the clubhouse was required to effect a repair. (The weather was so lovely none of us had any waterproof trousers with us.) So, Lawrence and I continued on our way and the full majesty of Carnoustie unrolled before us. Always a treat! These from my last visit last October. Dai rejoined us after a few holes and the three of us arrived at the 16th tee facing the hardest trio of finishing holes in the game. I always feel when you emerge onto the 16th tee at Carnoustie, it’s like a marathon runner entering the Olympic arena for the last couple of laps. What an amphitheatre! You are within sight of the finishing line but there are many tests to be faced in the final moments before victory can be claimed. As a spectator it is possible to position yourself in one spot and watch the denouement of the Championship unfold around you without moving. And, rather unusually, the combatants themselves can actually see the shots hit by players in the groups around them. It’s all right there in front of you – no hiding place. And there was certainly no hiding place a few months later for Jean Van de Velde who came to the 18th tee needing “only” a double bogey 6 to win the Claret Jug. I had been out with Justin Leonard in the last round and when he finished the 17th hole I hopped over the wall at the 18th tee and went to our HQ in the adjacent TV compound. Two of our team were in the commentary box overlooking the final green so our work was done after 17 holes. As is the way with these things, once your duties are over you can scarper and most of the guys had already left, trying to get ahead of the Open traffic that would shortly be streaming out of Carnoustie. Alan Green and I were the only two who stayed and we had our little portacabin to ourselves as we settled down to watch the Frenchman’s triumphant progress down the last. 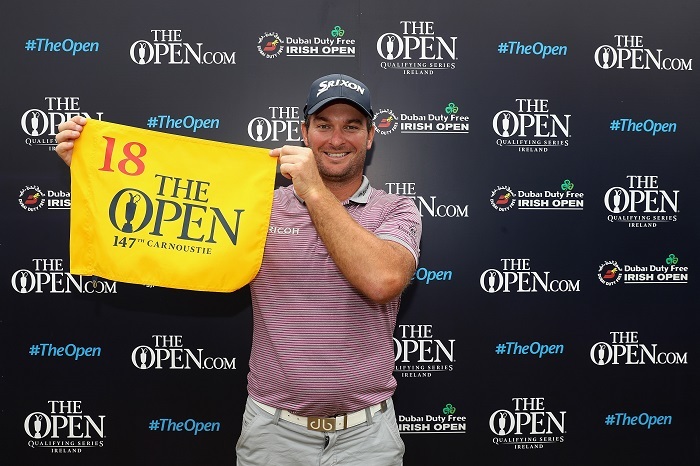 We watched with a mixture of horror and disbelief as the events of that final hole unfolded and ultimately Van de Velde made a good up and down from the bunker for a seven and a place in the play-off with Paul Lawrie and Justin Leonard. With that came the realisation that we would be continuing on air for the four-hole play-off and we had nowhere near enough commentators to cover the climax of the Open. Who was going to tell the producer who was locked away in his studio directing the broadcast? Alan or me? We were the only ones on site who knew the situation. At that point, through our headsets, we were given our duties and were told the players were already heading to the 1st tee. At that moment there was a roaring of engines as several cars raced into the compound. The troops had returned! Listening disbelievingly to our own broadcast as they whizzed down the road they deduced that a play-off was looking likely and got back just in the nick of time. The producer never knew and the Five Live crew moved seamlessly on. But it was a close run thing! The next time we were back at Carnoustie, in 2007, I was working for television and boy, was it a good Open for the Irish! There was another four-hole play-off with Padraig Harrington getting the better of Sergio and a youngster with a mop of curly hair won the low amateur honours. It was Rory McIlroy’s last Open before turning pro and he opened the week with a 68, Thursday’s only bogey-free round. 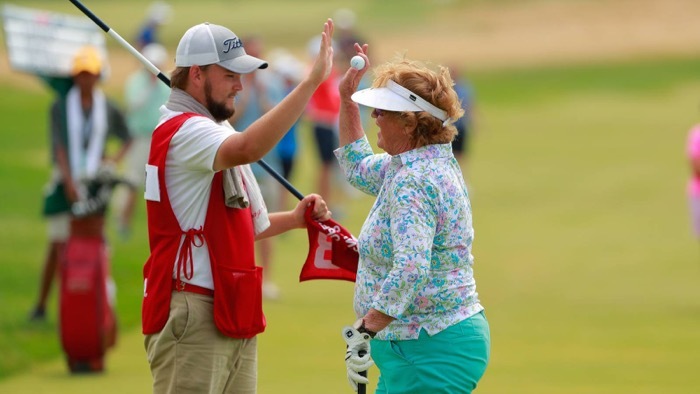 He finished the week volunteering to mind the Harrington’s young son, Patrick, so that mum Caroline could walk the four holes of the play-off with her husband. 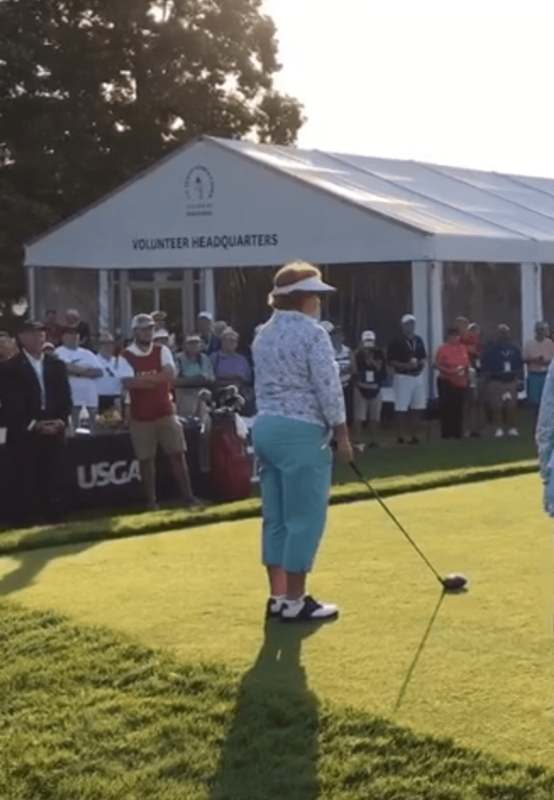 During that play-off Paul McGinley trotted round in support of his fellow Irishman and alongside him strolled Miguel Angel Jimenez, Cuban cigar clamped between his teeth, in support of Sergio. It was the first time I can recall other players following golf out on the course. 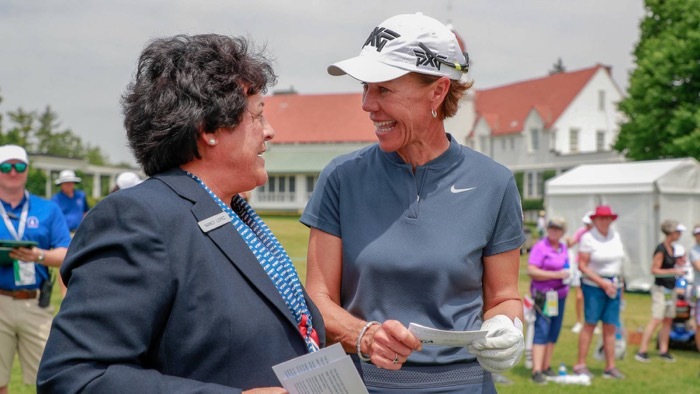 So, what lies in wait for my third Open at Carnoustie? Undoubtedly, the course will be a triumph and the weather looks set fair. Nine out of the last eleven major winners have been first timers – I wonder will that trend continue? Will Tiger challenge or is his time gone? How will Phil be received after his rules performance at the US Open? Will Rory rediscover his putting form or is Sergio due a little revenge for that play-off loss back in 2007? So many twists and turns will unfold before we know the answers and I predict another great Open at a truly great venue. There’s really only one place I’d like to be this sporting weekend of multiple choice and it’s not Wimbledon, Kazan, Samara or Nizhny Novgorod, Silverstone, Headingley or Noirmoutier-en-l’Ile (there should be a circumflex in there somewhere as befits the start of the Tour de France but my keyboard and I aren’t up to that particular task). Tennis, cricket, cycling, formula one and World Cup football – including England still despite it being the quarter-finals but Sweden loom dangerously large – are just some of the world-class sports on offer and they all have their attractions. 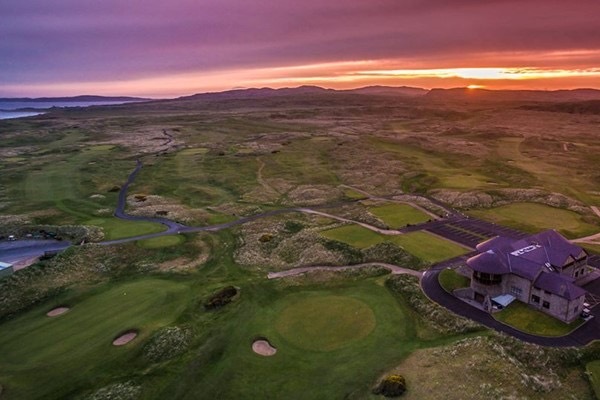 No, given the choice, I’d be heading for county Donegal, one of the most beautiful places on earth, where the European Tour are pitching their tents this week at Ballyliffin Golf Club, site of the (deep breath) Dubai Duty Free Irish Open hosted by the Rory Foundation. It’s one of the tour’s lucrative Rolex Series events, with US$7 million on offer – if you wish to work in pounds sterling or Euros, feel free to make the conversion. As the seagull flies, Ballyliffin isn’t far from Malin Head, the most northerly point on the island of Ireland, which is in the Republic of Ireland, or the South as it’s sometimes known colloquially. Really, there’s no point complaining that the English, say, don’t understand us because, really, we’re a mass of complications and contradictions. It’s wonderful. And so, incontrovertibly, are our golf courses. There’s no point trying to rush around the coastline of Donegal. Take your time. I once suggested to Dai that we should tootle round the coast of Ireland playing all the courses, whether 18 holes or 9 holes. 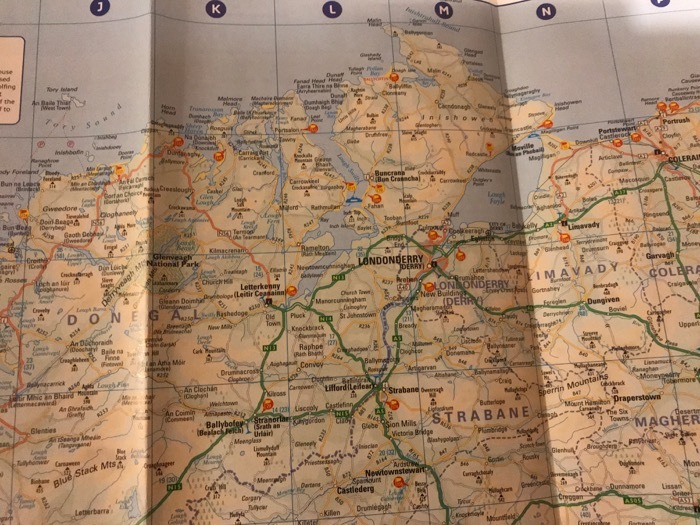 “Let’s start at Portstewart,” I said, “and head left (west) and see how long it takes us to work our way back to Portstewart.” We never got started and I suspect it might have taken us years to get out of Donegal. Have a look at the coastline for a start, the nooks and crannies and the inlets (and the roads, which are probably a bit better than they were 30 years ago). The deal would be to play every course properly, not just to pitch up and play a designated hole as some guy did at Portrush once. The 14th, Calamity, was on his wish list, his world’s top 18 or something, so he flew in, played that one hole and buggered off, happy. What a waste of a golf course. What a waste of a visit. Talk about missing the point. Still, each to his (it’s nearly always his, isn’t it?) own. How on earth could you stick rigidly to your schedule and ignore the invitations to “stay for a bite to eat; just have another jar; another few holes; a walk on the beach; relax in a seaweed bath; my mother would love to meet you; the fish and chips are to die for……” Estimates please, for how long it might take to play every course around the coast of Ireland. We’ll venture inland in the next lifetime or two! Anyway, Maureen’s not in Donegal this weekend, she’s keeping an eye on Brian, who was out cycling when he hit a pothole and ended up with a split helmet, a broken collarbone and a broken elbow and is awaiting surgery; less dramatically, I’m playing in ladies’ captain’s day at Whittington Heath tomorrow, hoping to get in in time to watch the second half of the England match against Sweden. Whittington is at its summer best now, fast and hard-running, with the only green on the greens. A few of us went on a course walk the other day and Trevor, the head greenkeeper, who’s been here for more than 50 years, man and boy, was explaining that the grasses we want on the fairways, the fine bents and fescues, were loving the weather, saved by their long roots and the meadow grass was breathing its last. That’s my understanding of what he was saying, anyway. Sue Spencer in a rich vein of form, hoping England play as well. Thanks to her husband Tim for the photoshop skills. 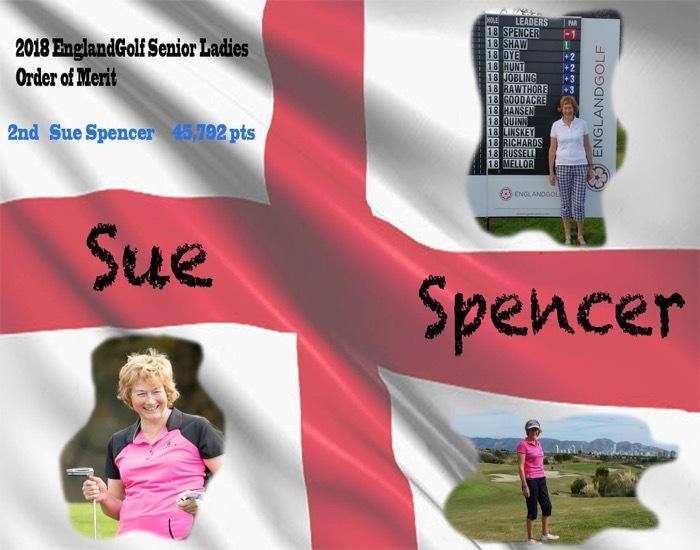 Here, as promised last week is the triumphant Sue Spencer, heading for the England seniors team and as an added bonus Eileen Beresford, heading for retirement after 15 years of looking after us all at WHGC. Well done and good luck to both. 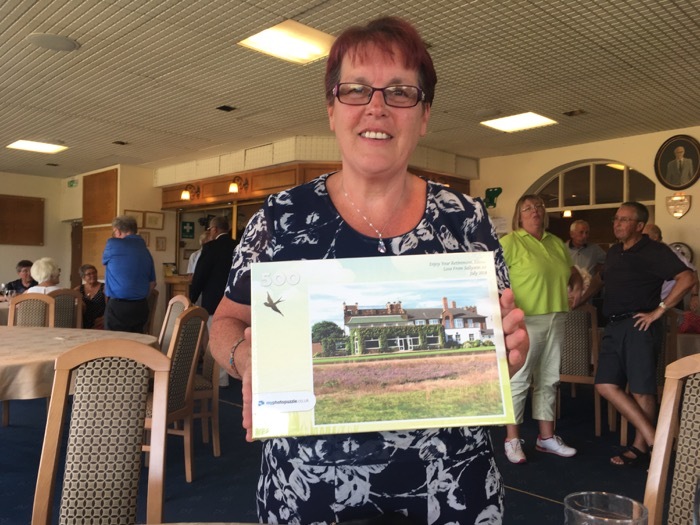 Eileen ready to retire to pastures new after 15 hard-working years at Whittington Heath. Well, it’s been a tough ole week. Another crashing fall from his bicycle for my husband with several broken bones and surgery imminent. And as you’ll see this video doesn’t go quite to plan – it’s still a good tip, though! Enjoy!